Auto-renew subscription unless canceled. Cancel anytime. Auto-renew subscription until canceled. Cancel anytime. 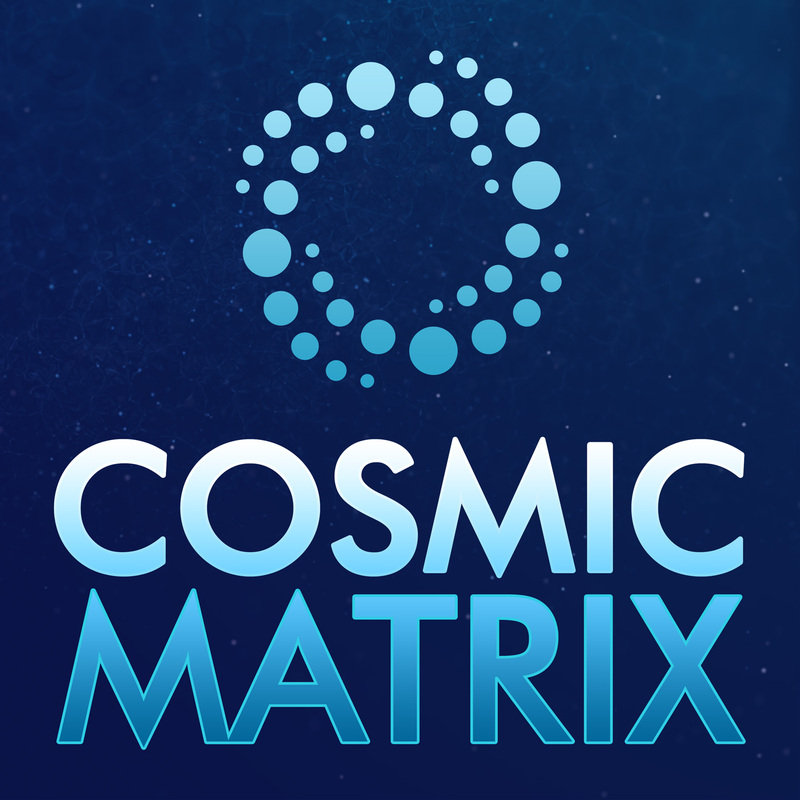 The Cosmic Matrix Podcast is hosted by Bernhard Guenther and Laura Matsue. Together, they talk about various topics relating to spirituality, psychology, esotericism, self-work, embodiment, relationships, the occult and hyperdimensional realties as well as current events in light of the evolution of consciousness and the process of awakening in order to transcend the Matrix. The 2hr podcasts are released every two weeks. The first hour is free for the public. The second hour is only accessible to members. The main intention of this membership section is to create community away form any public corporate social media outlets. It is a safe space for people to interact who are sincerely interested in the topics I share on my Piercing the Veil of Reality website and related subjects. The majority of people I talk to and who follow my work (including my clients from all over the world) “complain” (understandably) about how lonely they are and that they have no one to genuinely talk to about these topics or their own personal process. We all know that seeking truth and embarking on the path towards Awakening can be a lonely road at times indeed. We cannot relate anymore to our old ways. We don’t fit in anymore with the “crowd” and programed cult-ure. It’s a normal part of waking up. I certainly have traveled this path in solitude for the most part of my life. Loneliness has its teaching function, namely to be able to strive in solitude and strengthen one’s aspiration and connection to the Divine (within) in order to align with Divine Will and one’s deeper soul purpose, hidden behind the mask of personality, wounds and conditioning or external Matrix distractions. However, we cannot do this work alone all the time. Especially in this day and age, it is important to connect with fellow seekers and create community — a place where we can help/support each other based on an understanding of the inter-relationship and inter-connectedness of All That Is, while keeping everyone’s individuality and sovereignty respected. The Piercing the Veil of Reality forums serves as a safe container for members to discuss various topics and share their experiences with fellow renegades from all over the world. It is a place to learn, share, and process together. It is also for individuals who are committed with the sincere intention/drive to gain knowledge, seek truth, and engage in the necessary inner work to transcend the matrix in light of soul evolution and the evolution of consciousness that is occuring during this Time of Transition. I’m well aware of the limitations of online written word communication (see membership forum guidelines of conduct below), however a private forum is far more productive and safer than any public internet/social media outlets. We’re already witnessing the increasing A.I. infection on Facebook, the obvious surveillance issues, ever-changing restrictive algorithms, and the ongoing FB page purges (censoring). Due to the nature of my work and the topics I share, I’m also dealing with trolls and the usual personal attacks on that platform. Many of us are subjected to these attacks, distractions, and interferences when we’re sharing information that is contrary to public opinion, official culture and the status quo. It is important to understand that my work on Piercing the Veil of Reality is also a reflection of my own personal process of awakening, learning, remembering, and healing. Meaning, my work keeps changing and evolving as I do. I’m not claiming to know it all, nor am I fully “awake” (in the true meaning of the word). Everyone is a unique individual in his/her own process with his/her unique soul lessons, talents, and gifts and while we also share similar challenges, hopes, and dreams; the way it is expressed is unique to each of us. Hence, the membership section/forum (and any events based on it in the future) is NOT an organization/group revolving around any particular teaching, dogma, or authority. The intention of my work is to inspire and help others to empower themselves and connect with their own sovereign soul-embodied true self. My part consists of providing some guidance, reflections and help along the way based on my research and my own talents, insights, and lessons I’ve learned so far and continue to learn. I see myself as a teacher and student alike, as well as a facilitator – to bring people together. Life is an adventure and mystery — the learning never stops. Here are some guidelines for the membership forum. Most of it should be simply common sense when interacting on an online discussion forum. As mentioned in the Statement of Community Purpose, the key words are: Integrity, Sincerity, Honesty, Humility, and Self-Responsibility. Every member in the community forum is a unique individual and to be treated with respect, compassion, and equality. Members take self-responsibility and accountability for their words and emotional states. It is understood that we all have good and bad days at times. None of us are perfect. Shadow projections may surface in the community at times. Being aware of your triggers and projections can serve as a healing opportunity and mirror to become more aware of your unconscious behaviors. Members support and help each other in that process with kindness and compassion but also with strong boundaries if needed. Members agree to be responsible for their own choices and to be able to own their own emotional reactions and conflicts without blame, or projecting guilt/shame upon another person. Members understand the limitations of written words and online communication (without body language, eye contact and energetic impressions in person) when emotions can be projected into words/posts of fellow members that don’t represent the original intention. Members agree that they alone are responsible for any choices and decisions they make based on following any ideas, advice, and information posted on the forum. Members agree that any information on the forum is not intended to replace that of licensed medical services, or to divert persons from seeking medical professional care and help. Members agree to not let any personal agendas infiltrate the community. Personal agendas can be related to being attached to any point of view or lifestyle choices and trying to impose them on others. Members agree not to attempt to solicit, manipulate or impose their personal or political views on each other. Members agree not to share personal writings and forum posts of other community members without the permission of the author(s). Members acknowledge that by sharing information and media in the community, such information will be available for current and future members to see. Any perceived communication exchanges that imply Internet stalking, trolling, personal agendas, harassment or inappropriate behavior that threatens the community or well being of any person will result in the immediate ban from the community and cancellation of the membership. Lastly, if you agree with these terms and sign up, please introduce yourself in the “Introduce Yourself” section of the Piercing the Veil of Reality forum if you are intending to participate on it. As mentioned in the “Statement of Community Purpose”, the goal of the this community is to create a safe environment for people to share and interact. Please do not register any falsified names or misrepresent your identity in any way which could be used to deceive the community. Your privacy is respected and your information won’t be shared. Auto-renew subscription, unless canceled. Cancel anytime.